Varnish that offers the highest UV protection available. 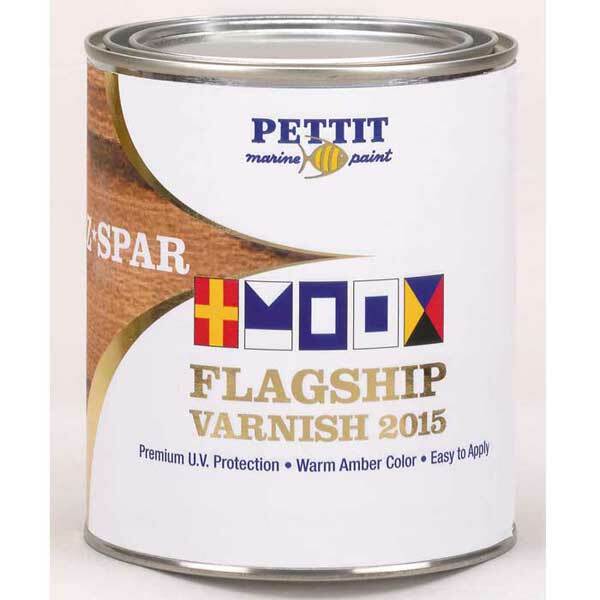 Similar to Captain’s Varnish, but with increased UV inhibitors for the best protection against the sun’s damaging rays. Creates a durable, high-gloss, abrasion-resistant finish with high build and film depth per coat. Not for use below the waterline. Drying Time: To touch: 2hrs. at 70°F; To overcoat: 18hrs. Coverage: Brush: 112sq.ft./qt., 450sq.ft/gal. ; Spray: 90sq.ft./qt., 360sq.ft./gal.